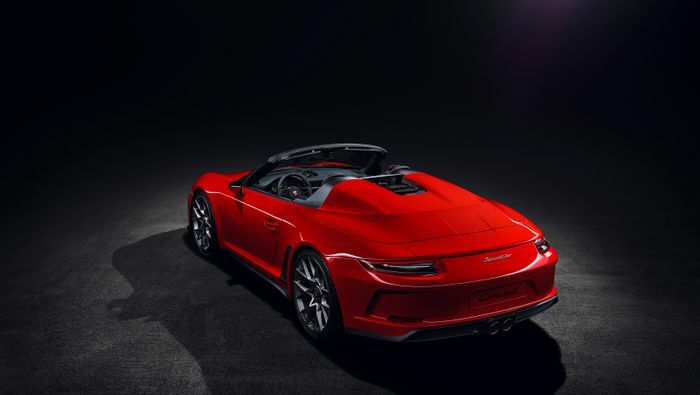 When Porsche revealed its 911 Speedster concept earlier this year, there wasn’t a doubt in our minds that a production version would follow. The evidence was compelling: it was driveable, they called it a “road-ready study,” and Porsche has done the Speedster thing with the 911 plenty of times before. A few months on, Porsche has - guess what - brought out a production version that looks barely different. Yep, it’s been confirmed that the car will indeed get made, with 1948 to be built in a nod 356 ‘Number 1’, which was given its operating license in June 1948. 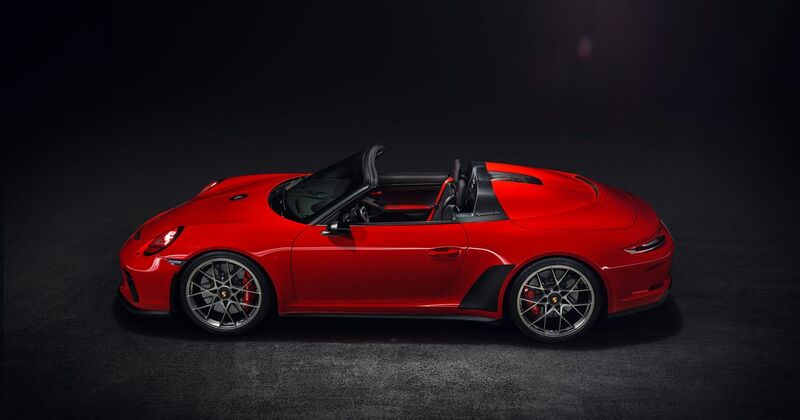 It’s littered with nods to the past including “Talbot-style’ wing mirrors, a super-shiny filler cap placed slap bang in the middle of the bonnet and a Guards Red finish to match the ‘G-Model’ 1988 911 Speedster. 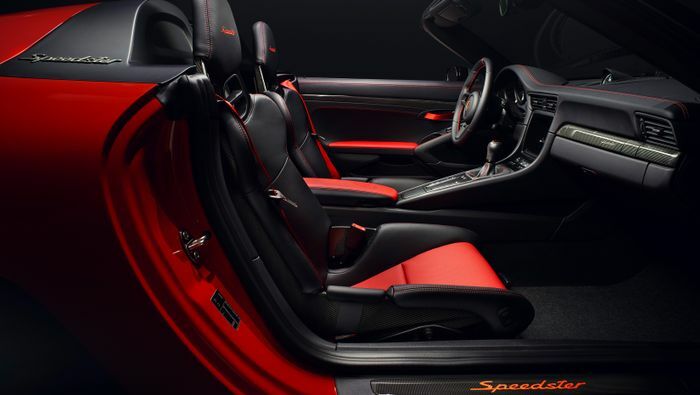 The top part of the body has been extensively modified to give the classic Speedster look. There are shortened window frames, a more heavily-raked windscreen and a new rear deck with a ‘double-bubble’ design. There’s no folding roof - instead, you’ll need to fit a Tonneau cover if the heavens open. 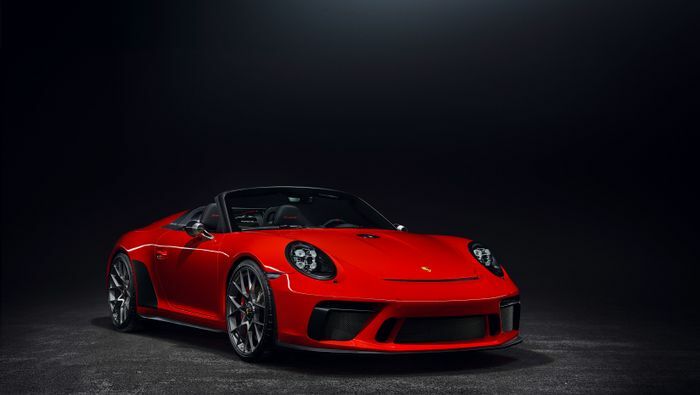 The 997-generation Speedster used a 911 GTS as a base, but the mechanical bits and pieces here are a little more serious - the 991.2 version is derived from the GT3. That means there’s a 497bhp naturally-aspirated flat-six up back, putting its power to the rear-wheels via a six-speed manual gearbox. Porsche isn’t saying how much the car costs, but prices of the 1948 examples due to be sold are likely to vary significantly. Buyers can pick from various ‘Heritage Design Packages’ via Porsche Exclusive, giving extensive personalisation options. The car will go into production during the first half of 2019 and is on display now at the Paris Motor Show.